Bill is the leader of the Financial Transactions and Regulation Practice Group. His practice experience includes the representation of lending institutions, companies, individuals, and community associations in a wide variety of commercial real estate matters. Bill regularly represents lenders and borrowers in loan transactions; purchasers and sellers in the negotiation and preparation of real estate letters of intent and purchase agreements; landlords and tenants in the negotiation and preparation of commercial and retail leases; developers in the creation of restrictive and protective covenants for planned communities; and developers, community associations, and property owners regarding the interpretation and application of restrictive and protective covenants and title insurance issues. He also is experienced in the licensing and legal responsibilities of real estate brokers and firms. Bill has been rated by his peers as being "preeminent" in his fields of law. 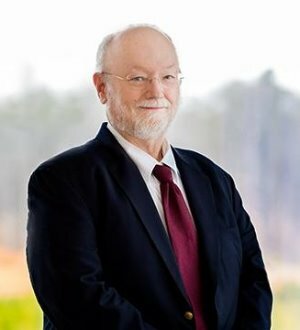 Prior to joining the Firm, he served terms as the Chief Federal Public Defender for the United States District Courts for the Eastern and Middle Districts of North Carolina.